The Swanage Railway is a railway branch line from near Wareham, Dorset to Swanage, Dorset, England, opened in 1885 and now operated as a heritage railway. The independent company which built it was amalgamated with the larger London and South Western Railway in 1886. The passenger service was withdrawn in 1972, leaving a residual freight service over part of the line handling mineral traffic. After the passenger closure, a heritage railway group revived part of the line; it too used the name Swanage Railway and now operates a 9.5-mile (15.3 km) line which follows the route of the former line from Wareham to Swanage with stops at Norden, Corfe Castle, Harman's Cross and Herston Halt. 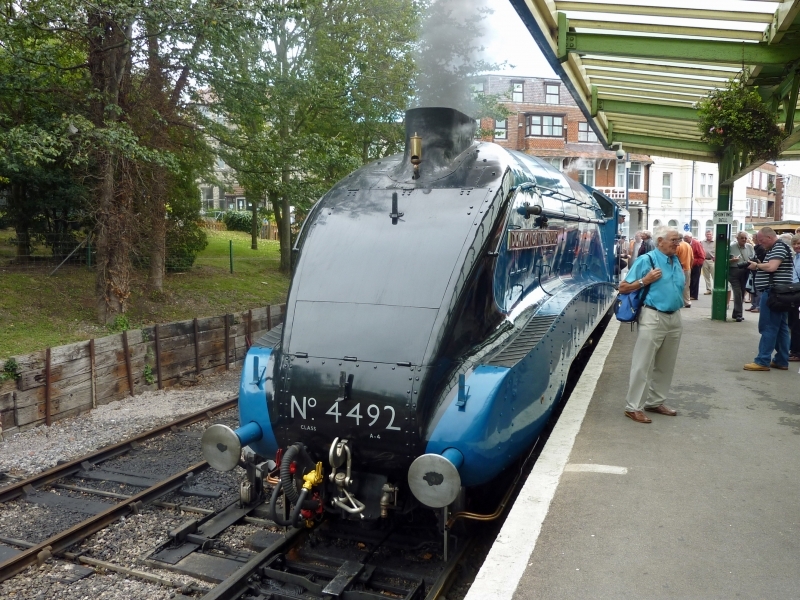 Please give us your overall rating for Swanage Railway.